Professor Gould enjoys playing the cello, attending concerts of all kinds, and travel. Professor Gould is currently the vice chair of the Department of Statistics and director of the Center for Teaching Statistics at UCLA. He got his Bachelor of Science in Applied Mathematics at Harvey Mudd College and then received his Ph.D at the University of California, San Diego in Mathematics. 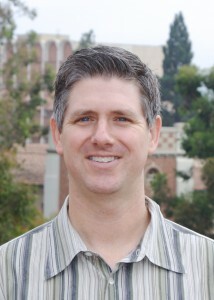 After receiving his Ph.D, Gould was an Adjunct Assistant Professor at UCLA’s Department of Mathematics until the Statistics Department was created four years later. He is a Fellow of the American Statistical Association, and currently serves as chair of the AMATYC/ASA joint committee and the ASA DataFest Planning Committee. He is also the faculty advisor of the California Math Project. Professor Gould’s research interest include statistics education, random effects estimation in repeated measures setting, and modeling longitudinal data. He coauthored the Introductory Statistics: Exploring the World With Data Analysis textbook with Colleen Ryan. He is a founding editor of the e-journal, Technology Innovation in Statistics Education.